In my previous post I explained how you can poll/read file in OSB. In this post I will explain you how to write file in OSB. Follow below step to write file in OSB. Step 1.) Create new OSB project and Business Service. 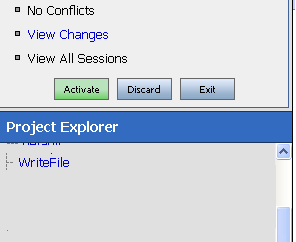 First Create a session and then click on "Project Explorer". Add new project with the name "WriteFile". Now click on newly created project to add new folder. 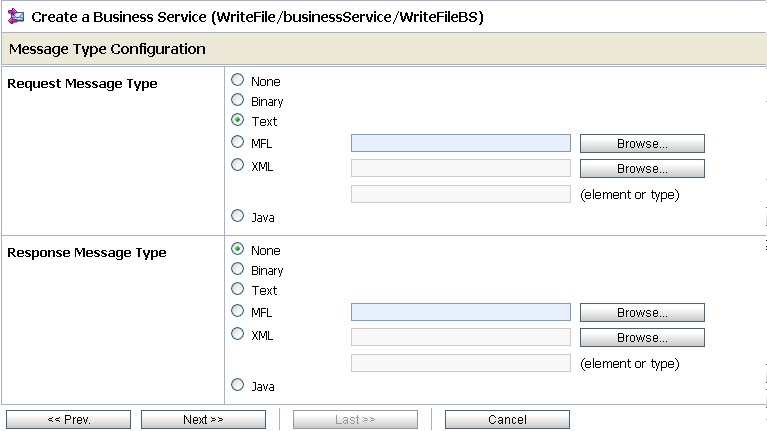 Add new folder inside "WriteFile" project with name "businessService". 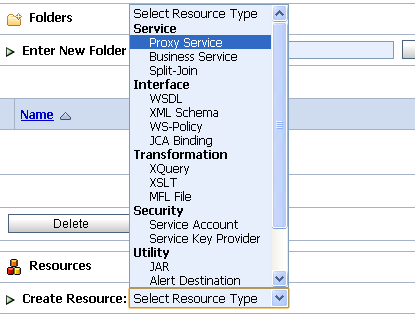 Now click on "businessService" folder to create business service and choose "Business Service" as "Resource Type". Step 2.) Fill details in Business Service. 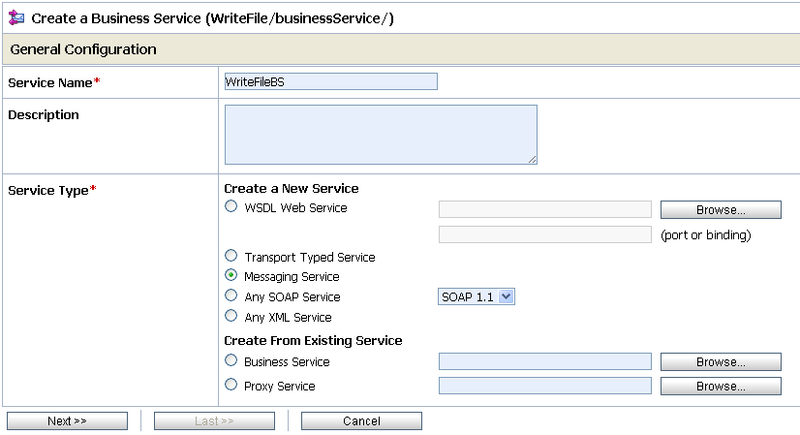 Enter Business service name and choose "Service Type" as "Messaging Service". Click on "Next" button. Choose "Request Message Type" based on what type of file you want to write.In my case it is text file so I will choose "Text". Choose "Response Message Type" as "None" as we don't need any response after writing the file. Choose "file" protocol from drop down list. Provide the "Endpoint URI" and click on "Add" button. Provide File Transport Protocol details. Click "Next". Accept all default values and save Business Service. Now your Business Service is ready to write text file. Go through my previous post which explains how you can read/ poll file in Oracle Service bus. The above mentioned steps would create the file each time the business service is triggered. Could you please mention if there is any way to write in to file without creating it again and again ? You can create Adapter in Jdeveloper and choose append option and use that adapter JCA, WSDL and XSD file in OSB.